Publishers(s): D. Gottlieb & Co.
Q*bert is an arcade game developed and published by Gottlieb in 1982. The objective is to change the color of every cube in a pyramid by making the on-screen character hop on top of the cube while avoiding obstacles and enemies. The game was conceived by Warren Davis and Jeff Lee. Lee designed the title character and original concept, which was then further developed and implemented by Davis. 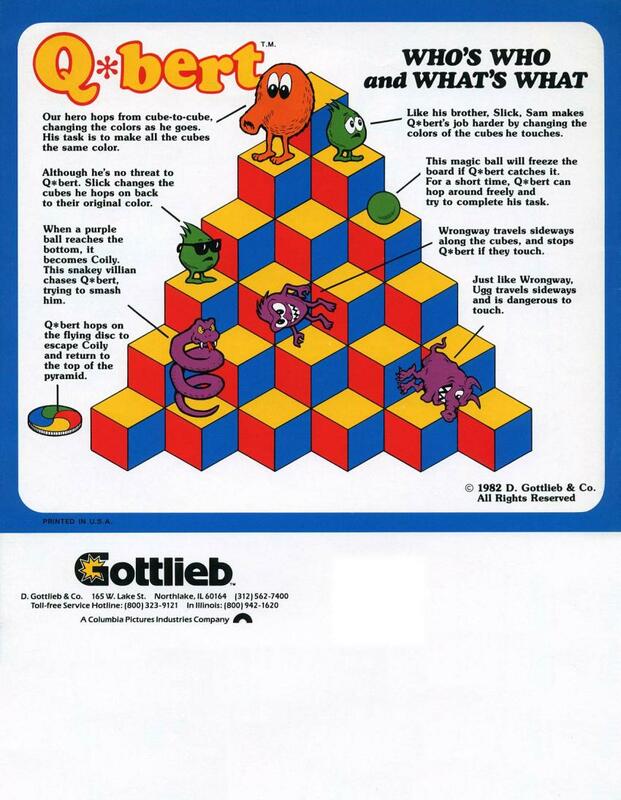 Q*bert was developed under the project name Cubes. 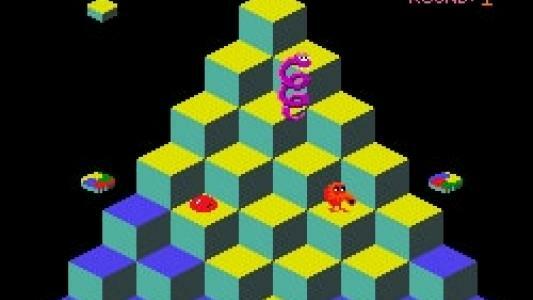 Q*bert was well received in arcades and among critics. 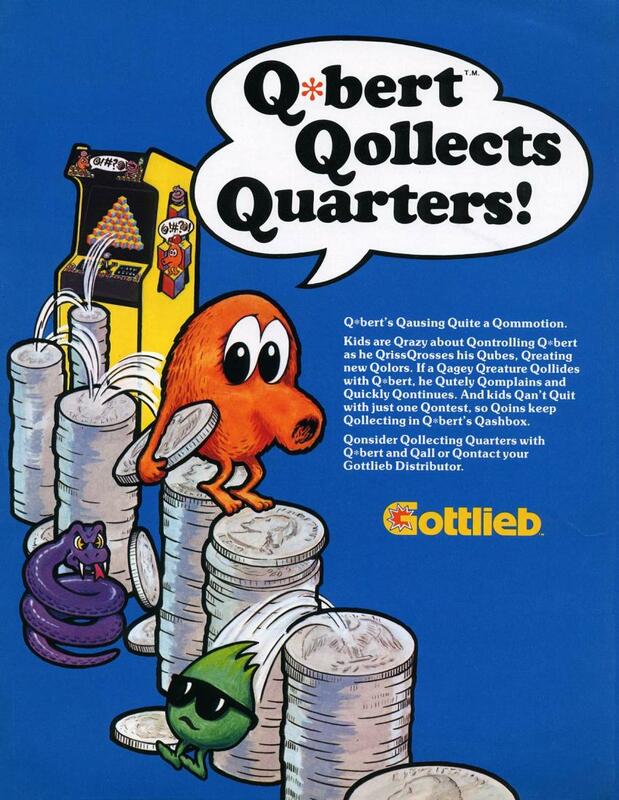 The game was Gottlieb's most successful video game and among the most recognized brands from the golden age of arcade video games. 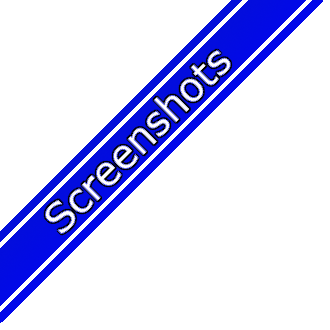 It has been ported to numerous platforms. The success resulted in sequels and the use of the character's likeness in merchandising, such as appearances on lunch boxes, toys, and an animated television show. 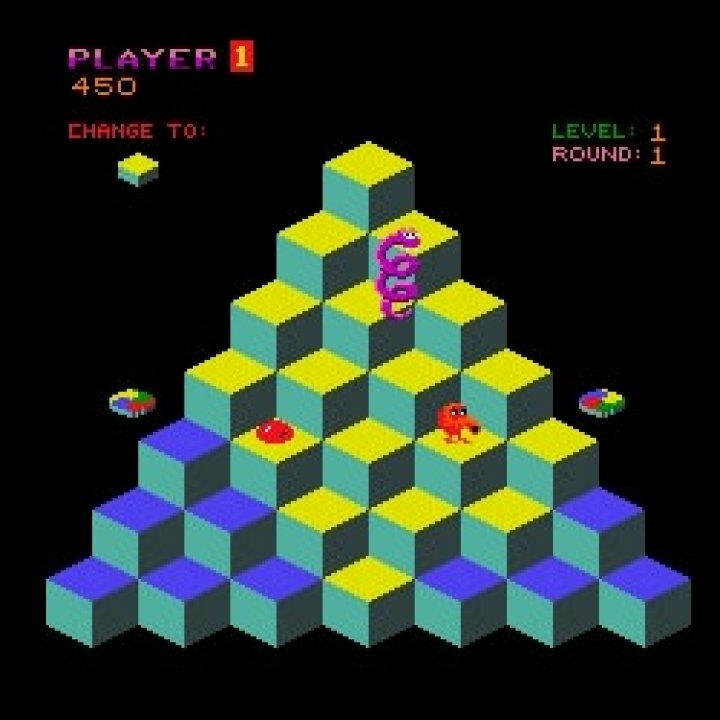 The character Q*bert became known for his "swearing", an incoherent phrase of synthesized speech generated by the sound chip and a speech balloon of nonsensical characters that appear when he collides with an enemy.